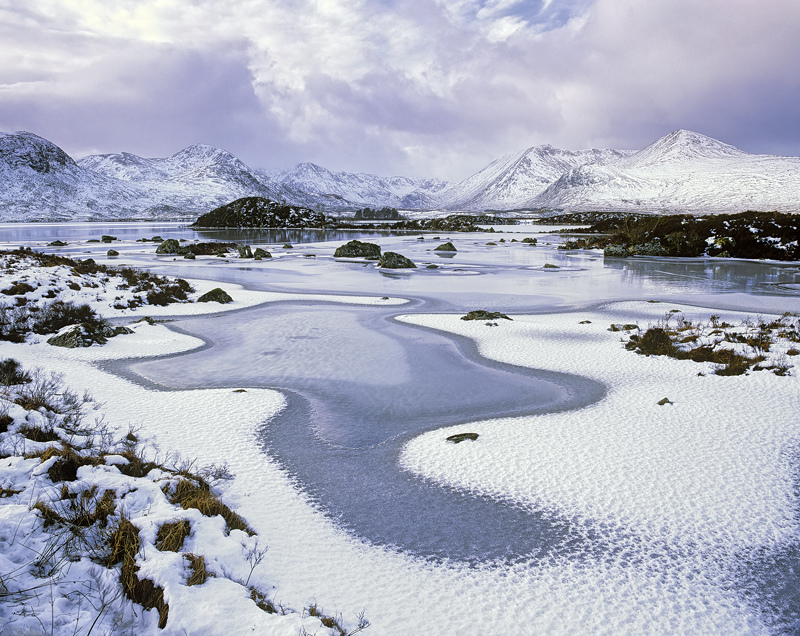 We were treated to some gorgeous if troublesome winter conditions in Glencoe during mid to late December shortly before Christmas so we made the most of the fairly extreme weather and explored beautiful Rannoch moor with its backdrop of the Black Mount and the glorious dimpled ice jig-saws in front of them. After that it was just a matter of waiting for some interesting clouds to scud by and a squirt or two of sunlight to lift the scene. Not as easy as it sounds alas.